Bhutan is situated in the Eastern Himalayas of southern Central Asia and is bordered on the north and Northwest by the Tibet Autonomous Region of China and to the west, southwest, south and east with Indian states of Sikkim, West Bengal, Assam and Arunachal Pradesh. The Kingdom of Bhutan is a landlocked nation in the Himalaya Mountains, sandwiched between India and China in South Asia. The Bhutanese call their country Druk Yul (land of the thunder dragon). Historically Bhutan was known by many names, such as Lho Mon (southern land of darkness), Lho Tsendenjong (southern land of the Tsenden cypress), and Lhomen Khazhi (southern land of four approaches). 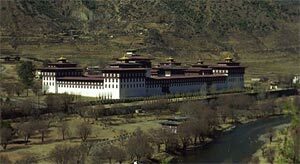 The origins of the name Bhutan are unclear; historians have suggested that it may have originated in variations of the Sanskrit words Bhota-ant (the end of Bhot – another word for Tibet, which Bhutan is immediately south of), or Bhu-uttan (highlands). The word Bhutan as a name for the country dates from the late 19th century. Bhutan is one of the most isolated and least developed nations in the world. Nonetheless, survey data from the country suggest it is also one of the happiest (see the section on the Economy). Foreign influences and tourism are heavily regulated by the government to preserve the country's traditional culture and national identity. The landscape ranges from subtropical plains in the south to the Himalayan heights in the north, with some peaks exceeding seven thousand metres. Vajrayana Buddhism is the state religion and the population is predominantly Buddhist, with Hinduism being the second most dominant. Thimphu is the capital and largest city. Bhutan is the last unspoiled Himalayan kingdom often known as Shangri-La. For a country of its size, Bhutan is a land of spectacular contrasts and stunning beauty. It was the mighty Himalayas, which protected Bhutan from the rest of the world and left the kingdom blissfully untouched. The Drukpa Kagyu School of Mahayana Buddhism provided the essence of a rich culture and a fascinating history. The Bhutanese people protected this sacred heritage and unique identity for centuries by choosing to remain shrouded deeply in a jealously guarded isolation. Because of a deep traditional reverence that the Bhutanese have for nature, the kingdom is one of the leading countries in environmental preservation. Bhutan is also the Champions of The Earth Award 2005 from the United Nations Environment Programme. More than 65 per cent of the land area is still under forest cover. Its rich Himalayan flora and fauna, dazzling white peaks and lush valleys provide Bhutan's stunning beauty and aesthetic grandeur. 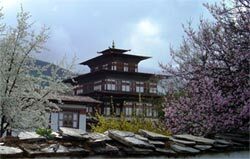 It is often said that even the most experienced traveler will find Bhutan to be 'a revelation'. Bhutan is perhaps the only nation in the world where billboards and tobacco are banned. 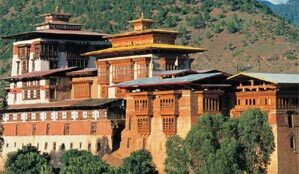 For more details information with many different itinerary for your tour, treks, and any Adventure & Leisure Activities for Bhutan please visit bellow link and if you are looking different itinerary please write us.